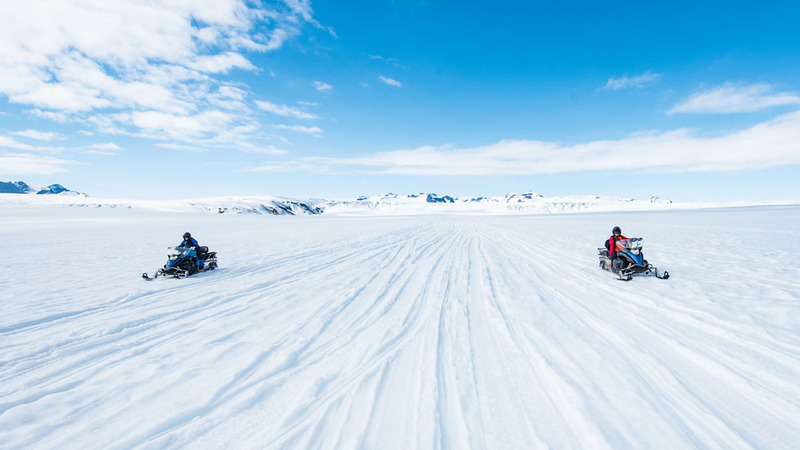 This snowmobile adventure will take us through rugged and wild landscapes, stunningly beautiful valleys and offers a breathtaking view of some of the highest peaks in the whole country and over the amazing Vatnajökull glacier. From Dec/Jan – March*: At Jökulsárlón-Glacier Lagoon 30 minutes before departure time (GPS Coordinates 64.0478597,-16.1789879). View on Google Maps HERE. From April – September: Flatey, 30 minutes before departure time. Flatey is a dairy farm and located 38 km west of Höfn and 42 km east of Jökulsárlón-Glacier Lagoon (GPS Coordinates 64.259367,-15.583086). View on Google Maps HERE. *Snowmobile tours are extremely weather dependent, and therefore we are not able to open for booking for the winter season just yet. A valid driver´s license is required. A reasonable level of fitness is required for our all our tours. It´s customer’s responsibility to inform our guides if they have any health issue. There is a 48 hours’ cancellation policy; customers will get a full refund if they cancel tour 48+ hours before departure. 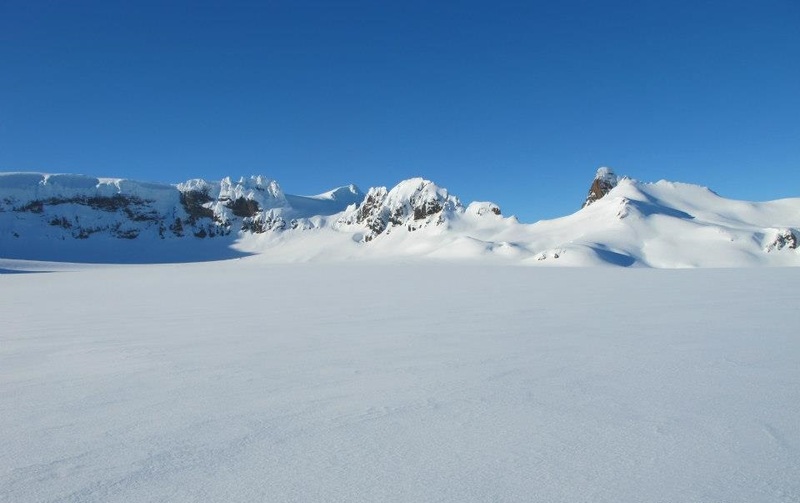 If the tour is canceled by Glacier Journey for some reason, i.e. due to weather, customers get a full refund. Iceland Advice / Glacier Journey does not assume any responsibility for accidents which are caused by its customers or can be traced to their own actions. Iceland Advice / Glacier Journey cannot make sure that no other persons or other unrelated groups are in the area at the same time as our tours. 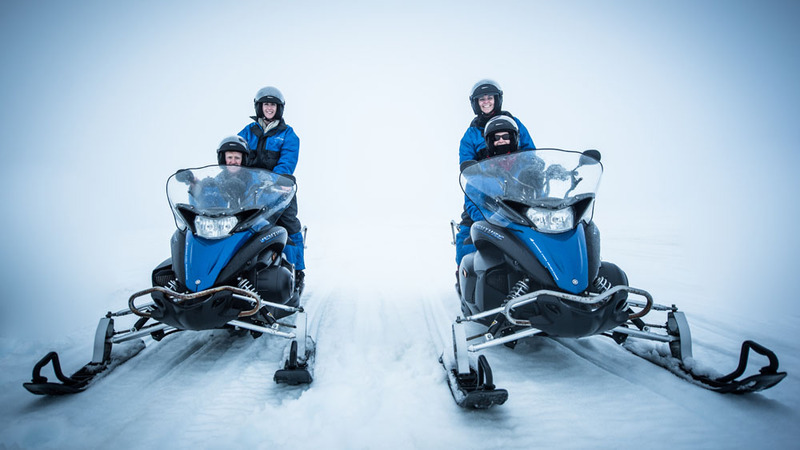 If the driver or passenger causes damage on the snowmobile the driver is responsible, and therefore have to pay for the repair of the snowmobile. Come and explore with us the fantastic lunar landscape of Iceland! 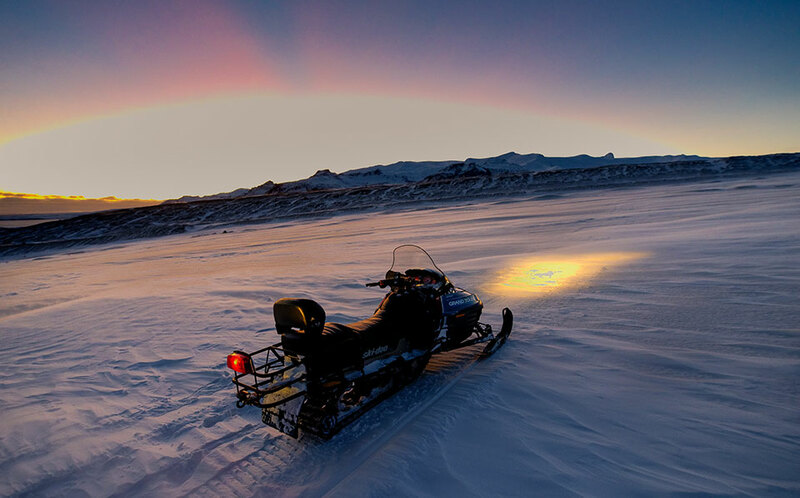 This snowmobile adventure will take us through rugged and wild landscapes, stunningly beautiful valleys and offers a breathtaking view of some of the highest peaks in the whole country and over the amazing Vatnajökull glacier. 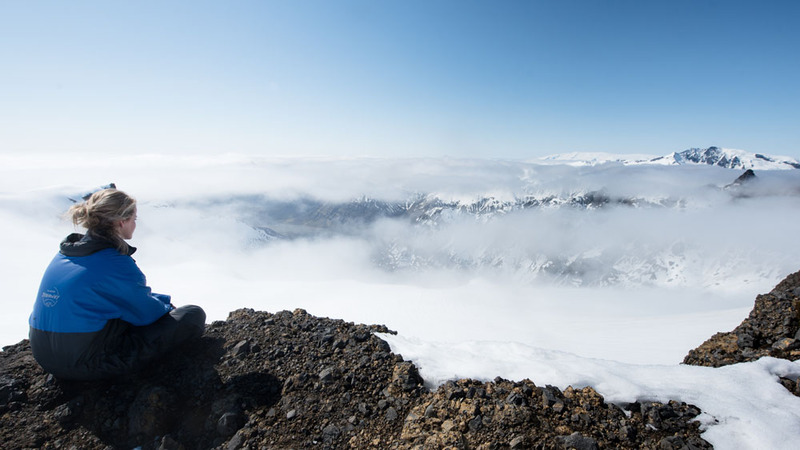 Enjoy the purity of the snowy mountains and become one with Iceland’s spectacular nature. Our tours are fun and easy and offer only the best experience for individuals looking for a scenic ride and even first-time riders! An experienced local guide leads the way and shares a wealth of fascinating information about glaciers, icefields and their impact on our environment during our journey. Don’t worry about driving the snowmobiles, we introduce you to everything you need to know in a short workshop, it’s super easy and everybody can learn it within minutes! 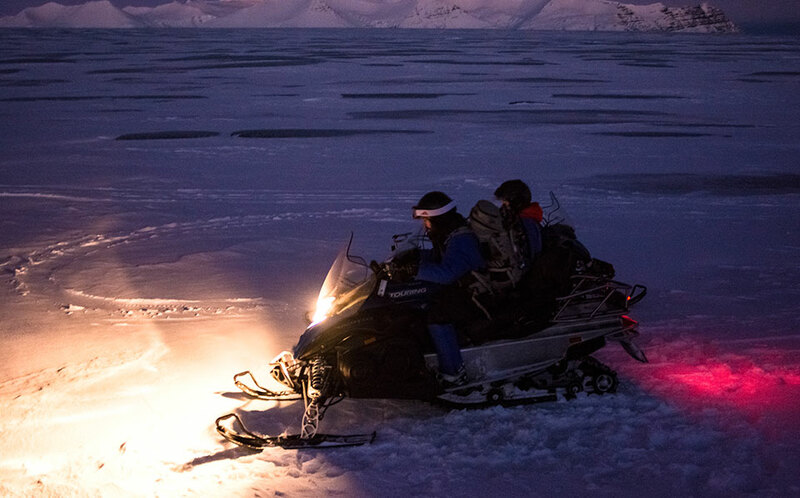 Our guides provide you with safety equipment (helmet, wind and waterproof overall) and the fun begins!